Gerald Beeson/Citadel Investment Group, L.L.C. Gerald A. Beeson is a Senior Managing Director and Chief Operating Officer of Citadel Investment Group, L.L.C. He is responsible for several corporate functions as well as Citadel Alternative Asset Management (CAAM), Citadel’s fund of hedge funds business, Citadel Solutions L.L.C., Citadel’s hedge fund administration business, and Citadel’s reinsurance investments. Beeson joined Citadel in 1993, and prior to his current position served as Citadel’s Chief Financial Officer, a role he held since 2003. He received his MBA from the University of Chicago and his B.S. in Commerce from DePaul University. 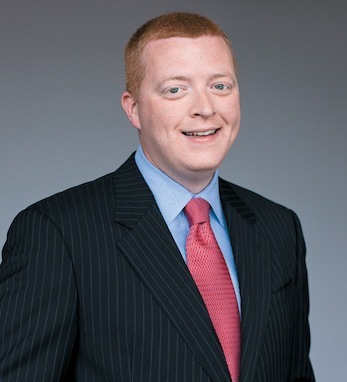 In 2007, he was named on Crain’s Business’ Chicago Forty under Forty. Beeson is a third-generation Irish-American and can trace his father’s family back to County Mayo and his mother’s family to County Cork. On his Irish heritage he says: “The success of Irish-Americans is a testament to the work ethic and sacrifices of prior generations who overcame hardships, and is a powerful reminder of all that is possible in America.” He is married with four children.